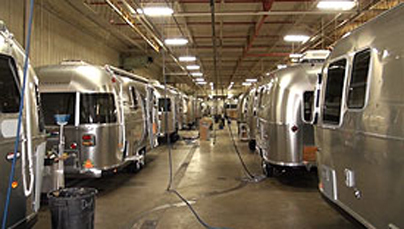 To end series 3 we travel to America and visit the Airstream Caravan Factory. A world exclusive as all areas were open to us so see how this iconic American caravan is made. This week Graham shows the highlights of series 3. 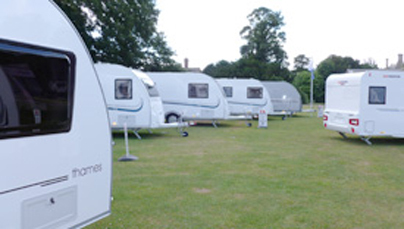 We see the new to old, big to small of caravans and motorhomes from around the world. For anyone who is on the fence about buying their first caravan for 2014 this episode is for you. 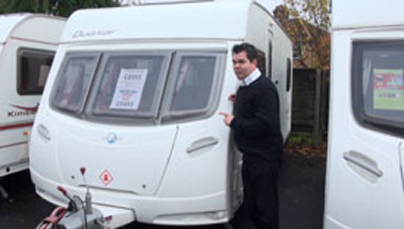 This week Graham looks at 6 caravans under £8,500. There are some amazing caravans out there!. This week to find out how a caravan gets a Grade 3 Thermal Classification and we take two caravans to minus 32 degrees Centigrade. Wrap up warm! Part 2 from the Motorhome and Caravan Show. This time we look at a new caravan from Eterniti Caravans, what's available for wheelchair users and we find out how easy it is to tow a caravan. Tonight we explore the what's new for static holiday homes and lodges in the UK for 2014. We see what's available from £29,000 to over £100,000. From the small to the huge! 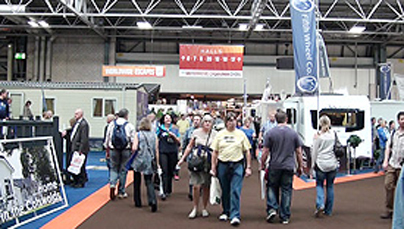 Graham travels to the Caravan Salon, Europe's largest caravan & motorhome show. 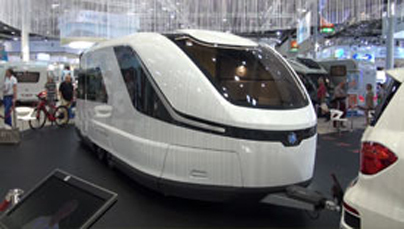 See what's new from Europe for the 2014, a stunning concept caravan from Knaus & a motorhome costing over £700,000. This week it's the turn to see what Lunar and Swift have in store for the 2014 season. 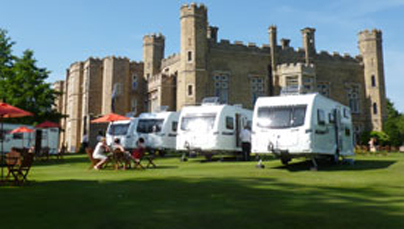 This also includes a new range of motorhomes from the Swift Group. This week Graham travels to see what's new from the Elddis Group for the 2014 season. 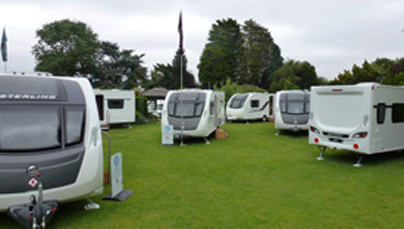 This includes a new compact motorhome range and the return of Compass caravans. 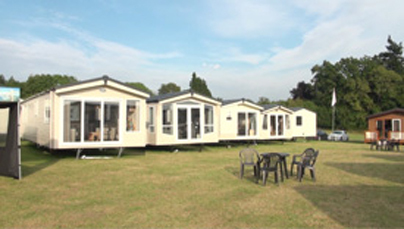 This week Graham takes a look at the new 2014 caravans from Coachman including the new replacement for the Amara range. The 2014 season is nearly upon us & tonight its the turn of Adria to see their new caravans and motorhomes, including an ultra narrow motorhome, their new Adora and new top of the range caravan. 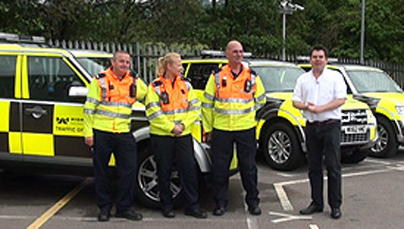 We have another special episode where we're with the Highways Agency again. This time we're joining the Traffic Officers on a patrol of the M5 on a busy Friday afternoon to find out how they keep traffic flowing and what other services they offer. 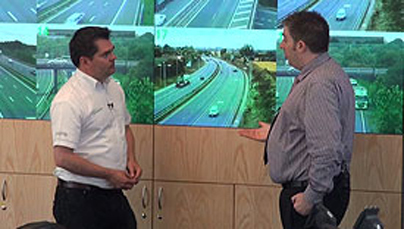 This week we get an exclusive look behind the scenes of England's road networks with the Highways Agency. The Highways Agency are the people responsible for operating, maintaining and improving the road network, but that's not all. You'll be amazed at how much work goes on that you never see. World Exclusive. Graham catches up with Eterniti Caravans, the UK company who makes caravans with slide out sides and sees how far they have progressed in the last 12 months. After 5 weeks and 2,500 miles, Graham takes a look at why it's so important to have your caravan serviced every year. Plus, Graham decides to to have some new gadgets fitted to his caravan that are guaranteed to put a smile on his face. We have a special episode this week! It's the first time you'll be able to see new 2014 motorhomes models from Adria directly from Slovenia in a world exclusive press event. In the latest episode, the sun is shining and we travel to a dealership to take a look at a couple of caravans that wont break the bank. Tonight we explore some used caravans with a budget to suit everyone. Graham takes a look at 6 second-hand caravans to demonstrate what you get for your money plus we find out about a club for those who are on their own but still want to go out in a caravan or motorhome. Graham is back in America and this time in the RV Capital of the World, Elkhart, Indiana. 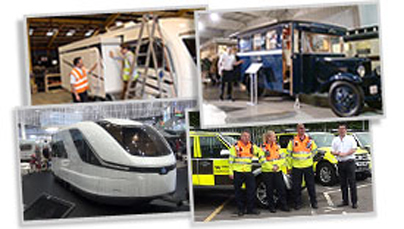 There's an extra special tour around the RV / Motorhome Hall of fame, a complex showcasing over 50 caravans, motorhomes and some really unique models that you have never seen before. 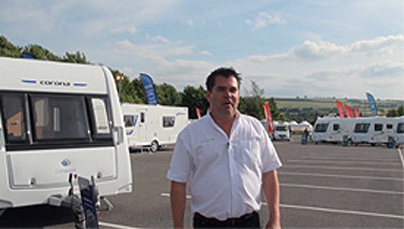 Graham revisits Family Travel Centre in Bristol and finds out from Matt Sims and Matt Hunt how the business has developed over the last 2 years as well as looking at some of the latest 2013 Adria motorhomes. In part 2, Graham looks at those all important safety items one should always update and have within their mobile home and talks to a couple buying a new caravan at South Lincs Leisure. Graham presents a 2 berth new caravan special from the Spring Caravan and Camping Show in Birmingham. We look at 10 models range between £10,000 and £22,000 each with their own unique features and furnishings. There's also an interview with Tim Booth on some important changes to the driving licence. Graham heads to the Birmingham NEC for the Spring Caravan and Camping Show. He finds out all about Dometics' line of cool boxes and takes a look around some exciting new motorhomes. Graham travels to Glasgow to visit the largest caravan and motorhome show in Scotland. He meets wildlife TV presenter Simon King, sees two new Bailey caravans as well as a caravan with a bathtub. 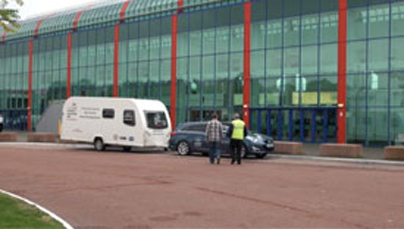 Graham travels to the North West to visit the Manchester Caravan & Motorhome Show. We take an in depth look at 6 new caravans from the Swift Group, chat with show director Sam North and meet some caravanners who are obsessed with caravanning. It's a brand new series and we're kicking things off by having a party. Graham travels up to Derbyshire for the grand opening of a new climate testing chamber, that has been built and funded by two of the biggest names in leisure vehicle heating, Alde and Truma. Plus we look around the Truma UK headquarters and see just how far caravan heating systems have come over the past 50 years.